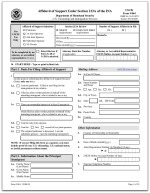 What is Form I-864, Affidavit of Support? Form I-864, Affidavit of Support, is required for most family-based immigrants and some employment-based intending immigrants to show that they have adequate means of financial support and are not likely to become a public charge. It’s a contract between a sponsor and the U.S. government. The sponsor promises to support the intending immigrant if he or she is unable to do so on their own. 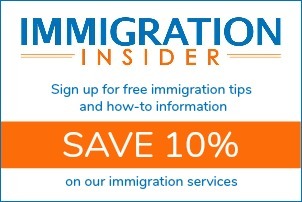 Employment-based preference immigrants in cases only when a U.S. citizen, lawful permanent resident, or U.S. national relative filed the immigrant visa petition or such relative has a significant ownership interest (five percent or more) in the entity that filed the petition.